42 years later, in the Hamptons. 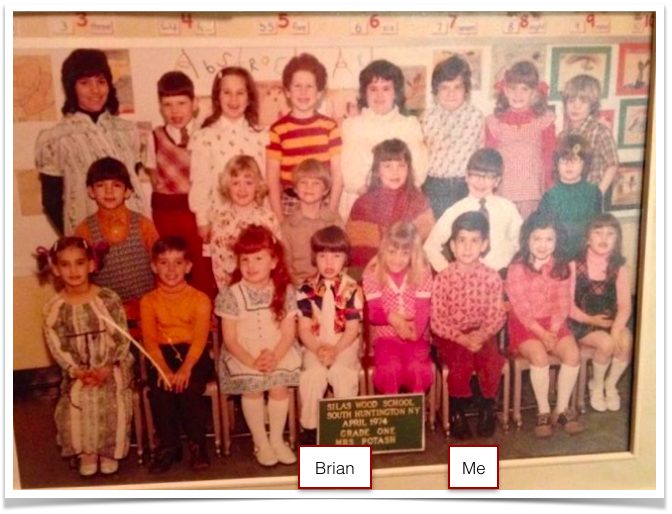 Top: 1st grade at Silas Wood Elementary School. 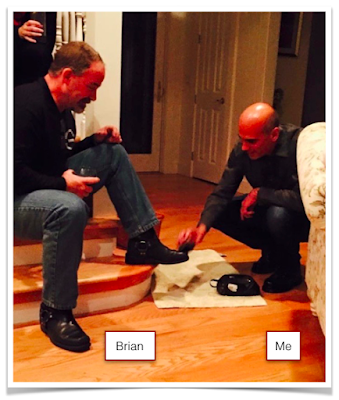 Photo credit: Our 6th grade teacher, Ms. Cooke, who had Brian, Vicky, and I as her students, snapped the shoe shining photo in the Hamptons. Coda: There were five people from my first grade class photo in attendance at our dinner party in the Hamptons. It's not that were remained close, over the years, it's simply that timing was on our side as we came together for a 6th grade reunion the evening before our 30th high school reunion.